Shopify Vs Etsy: What is the perfect platform for your Online Store? 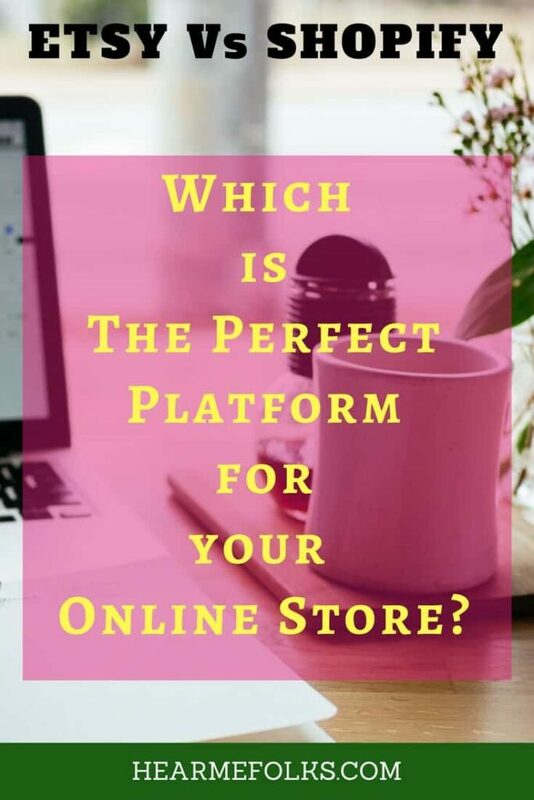 Want to set up an online store? Can’t make up your mind on Shopify Vs Etsy battle? ……and make an appropriate choice for your online store. Without any further ado, let’s get into the deets and filter out the best smartly. Let’s Learn About Etsy Now! Shopify VS Etsy: Which e-commerce platform is right for your business? Shopify is a reliable eCommerce solution since 2006, based on SaaS (Software-as-a-Service) platform with a friendly proprietor interface. 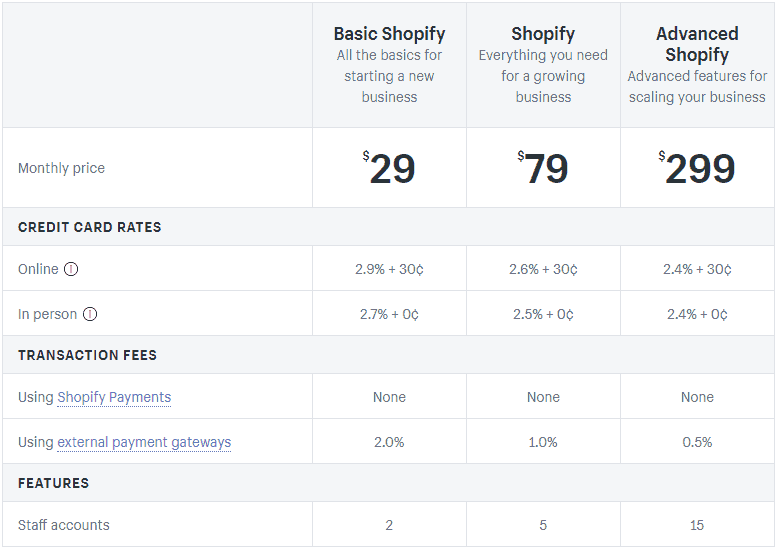 Whether you wish to sell online, on social media, in-store, or to that matter anywhere, Shopify makes it easy for you – there is a small monthly fee but it’s very user-friendly and easy setup. Shopify seamlessly integrates into diff platforms. The most popular ways to sell are with an online store, Shopify POS, Pinterest Buyable Pins, Facebook, Amazon, and More. Customers can easily browse your products and collections using the Shop section on your Facebook Page and will be able to check out without leaving Facebook. You can conveniently sync your products in Shopify to Amazon listings in minutes and reach new customers on the Amazon marketplace. If you’re a non-techy person looking to set up everything yourself, then Shopify will be a great fit for you. Their vast collection of guides, podcasts, videos and other helpful resources makes it easy to set up a store in minutes and start selling without getting overwhelmed. Sell anywhere your customers are – like Pinterest, Facebook, Amazon, e-Bay and more. Shopify allows you to start an online store for a monthly fee of $29. Depending on your business goals, you can choose between $79 and $299 plans. Regarding price, Shopify can be a good choice because there is no need to pay referral charges on each sale. Administrative options are available in English, but you can create a storefront in your desired language. This platform allows you to select a suitable payment gateway. It accepts funds in different currencies. If the store has high volume merchants and handles large businesses, then you’ll have to upgrade to Shopify plus platform. Pricing for Shopify Plus is available only by quote. 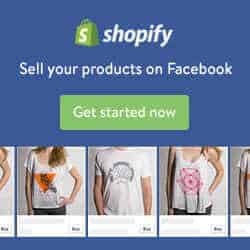 If you want to Sell on Facebook and chat with your customers on Messenger, add products to any website or blog, and accept credit card payments, you can go for Shopify Lite Package for only $9 per month. Do you know that Shopify offers a free 14-day trial? Esty is a marketplace for creative DIY craft supplies from a global community of sellers to sell their handmade creations, vintage goods (at least 20 years old), and both handmade and non-handmade crafting supplies. Setting up a shop on Etsy is free. It’s easy to set up a shop on Etsy. All you need to do is create an Etsy account (if you don’t already have one), set your shop location and currency, choose a shop name, create a listing, set a payment method (how you want to be paid), and finally set a billing method (how you want to pay your Etsy fees) and you’re done. There are three basic selling fees: a listing fee, a transaction fee, and a payment processing fee. It costs $0.20 to publish a listing to the marketplace. A listing lasts for four months or until the item is sold. Once an item sells, there is a 3.5% transaction fee on the sale price (not including shipping costs). If you prefer to accept payments through Etsy Payments, you need to pay a 3% + $0.25 payment processing fee when an item is sold. Listing fees are billed for $0.20 USD, so if your bank’s currency is not USD, the amount may differ based on changes in the exchange rate. The payment processing fee may also vary by bank country. Shopify and Etsy have both pros and cons. Shopify is a self-hosted eCommerce platform (similar to wordpress.org). Since you host your store on a server, you have full control over your store and how you want to customize and promote your brand. Your content and ideas are recognized by your brand, which is definitely not possible with Etsy (free e-commerce hosting platform like wordpress.com). Extend the power of Shopify’s admin, like enhanced reporting, shipping options, inventory management, and more. Setting up a store with Etsy, is as simple as creating a Facebook or Google account… with almost zero customization and you’re good to go. The only things that need to take care of are uploading your inventory, choosing your preferred payment options and some basic customization, which is the same for all Etsy sellers. 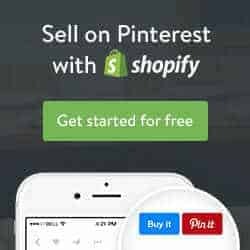 With Shopify, you own the store and there aren’t any limitations. The platform is highly customizable and highly recommended when it comes to e-commerce brand recognition and being a little different. It is completely agnostic to design and front-end technology. With full storefront customization, no product limits, powerful analytics, and much more — Shopify isn’t just a house for your client’s business and brand but can be designed into a permanent home. Etsy, on the other hand, is very much limited on what you can actually do. To be precise, it’s more like a storefront. You’re just a part of the crowd because your shop is hosted on Etsy platform just like many others. Shopify has a hassle-free, merchant-focused e-commerce management system, which means you can smoothly hand off your work to clients — with minimal training and support debt. On the other hand, Etsy, being a free e-commerce hosting platform…your store and payments are taken care off by the platform itself. Shopify offers more sales channels, payment gateways, and integration products than any other e-commerce provider, offering your clients a unified platform to sell anywhere your customers are now — thereby multiplying your income and reach. From Amazon and Pinterest to Messenger and Shopify POS, you can check out all Shopify’s sales channels on the Shopify App Store. While Etsy is very much limited in terms of diversifying the income streams. Both Shopify and Etsy get a cut of every sale, while the percentages for both doesn’t seem much, but it does have an impact on the overall pricing. You might be amazed to know – though, Etsy is a free hosting platform, it costs way more than Shopify ultimately. Here’s a detailed table in terms of fees and pricing for both the platforms. Accepts credit cards instantly with Shopify Payments and you can save time and money with Shopify Shipping and discounted rates. This brings us to the end of the post. I appreciate that you’ve hung up till the end. I would conclude by saying that, anyone willing to set up an online store, should definitely consider Shopify over Etsy. As you can see, Shopify is worth every penny invested in terms of the overall benefits it offers for your business. It helps you grow your business vividly and helps integrate your store with e-commerce giants like Amazon and eBay. Do you know that you can also integrate your Shopify store with Etsy? While the vice versa isn’t possible! When it comes to security, Shopify incorporates industry-leading security features into every product, like 256-bit SSL certificates, Level-1 PCI compliance, and 99.9% uptime with 24/7 monitoring — allowing you to breathe easy knowing your business, and customers, are always protected. ..wait no more, my services are pretty affordable. Reach out to me for a custom quote. So, what’s your experience with these two amazing platforms? What’s your choice Etsy or Shopify, and why?